Floors are not the only things that get dirty. Whether you have kids, pets, or are just plain messy, your furniture is bound to accumulate dirt over time. How do you clean a chair or sofa though? You don’t have to worry about how when you work with Steam Master Cleaning and Restoration. 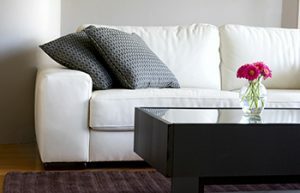 With our professional upholstery cleaning in San Antonio, we take care of everything for you. Our goal, as the furniture steam cleaner experts, is to bring your furniture back to life and show you what a good deep clean can do. When you have your upholstery cleaned by professionals, it will look like new and last longer. Our methods have been proven to work and we believe in doing the right thing the first time to restore your pieces, leaving you with exceptional results. Don’t trust just anyone with your furniture cleaning needs, trust the pros! Dirt, dust, stains, crumbs, and other debris have no fighting chance when you work with us. We believe in treating you as our priority, paying attention to the smallest of details and providing you with a professional upholstery cleaning service that can’t be beat. By first identifying the type of fabric on your furniture, we then go to work using the appropriate method of cleaning, protecting your upholstery the correct way. It is what has set us apart as the chosen furniture steam cleaner in San Antonio. Whether you accidentally spilled something on your favorite chair or you are already having us come clean your carpets, there is no better time than now to have your furniture’s condition renewed. Contact us today and receive your Speedy Fast™ Bid on the cleaning service of your choice.